70,8 x 59 cm - 27 7/8 x 23 3/4 in. 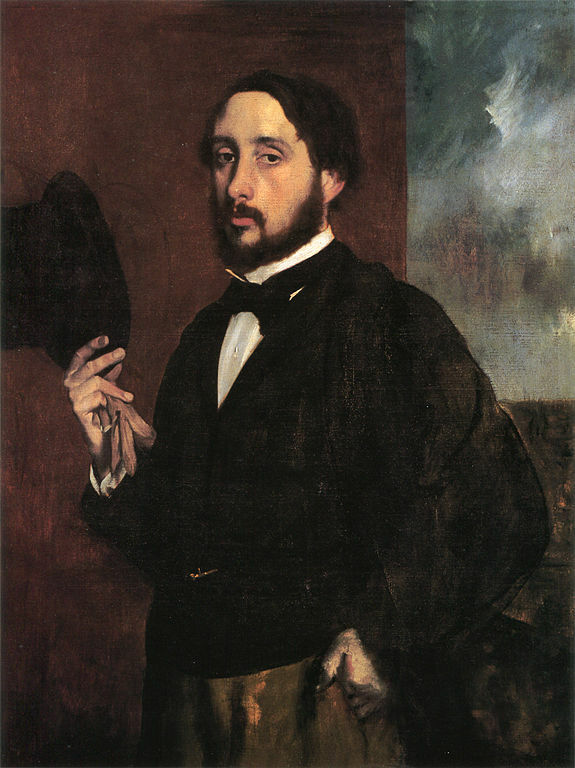 Atelier Degas - Goupil & Co., Paris [Acheté à l'artiste ?] - Ernest Chausson, Paris – Vente Ernest Chausson, Paris, 5 juin 1936, n° 7 (repr.) – Durand-Ruel & Cie, Paris, New York - M. et Mme Herbert C. Morris, Bryn Mawr, 1945 - Vente Christie's, New York, 31 octobre 1978, n° 10 - M. et Mme A. Alfred Taubman - Vente Sotheby's, New York, 4 novembre 2015, n° 21 - Vente Sotheby's, Londres, 1-2 mars 2017, n° 24. Paris, galerie Georges Petit, 1924, n° 160 (repr. avec des dimensions inexactes) - Paris, galerie Paul Rosenberg, 1931, n° 30 (Ref. 2967 archives Rosenberg, New York) - Bruxelles, Palais des Beaux-Arts, 1935, n° 15 - Philadelphie, Philadelphia Museum of Art, 1936, n° 45 (repr.) - New York, Durand-Ruel & Cie, 1943, n° 4 - Philadelphie, Philadelphia Museum of Art, En prêt 1964-1965 - Paris, Ottawa, New York, 1988-1989, n° 284, repr. p. 466 (New York seulement). Lafond, 1918-1919, I, repr. face p. 22 – Lemoisne, Revue de l’Art, juin 1924, p. 105 (repr.) – Vollard, 1927, pl. 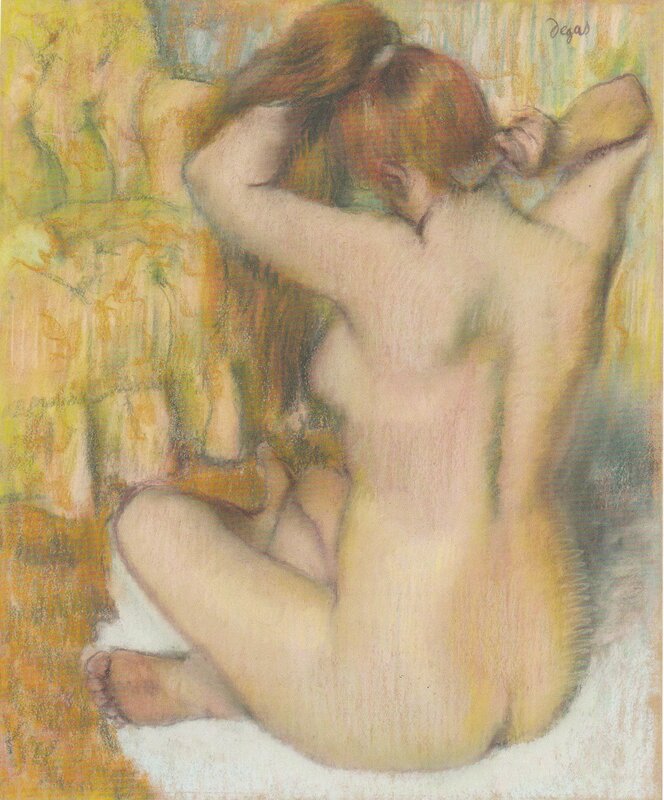 15 - Les Beaux-Arts, XIII, juin-septembre 1935, p. 21 (repr.) – Lemoisne, 1946-1949, III, n° 849, repr. p. 491 – Gordon, Forge, 1988, repr. p. 266.